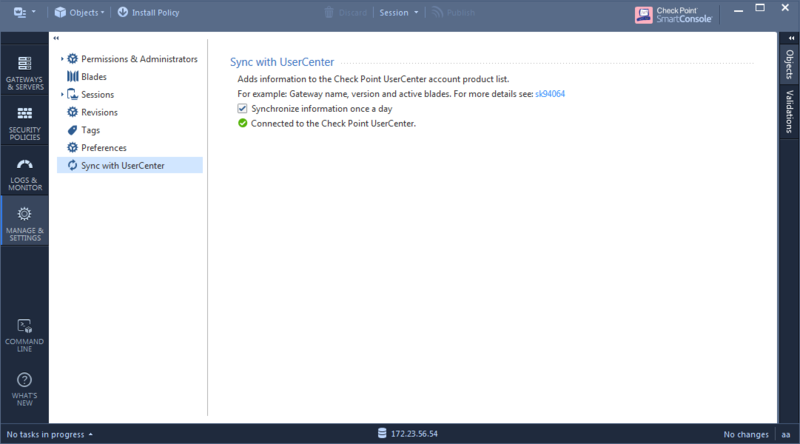 "Sync with User Center" feature lets users synchronize certain information regarding their environment to Check Point UserCenter. 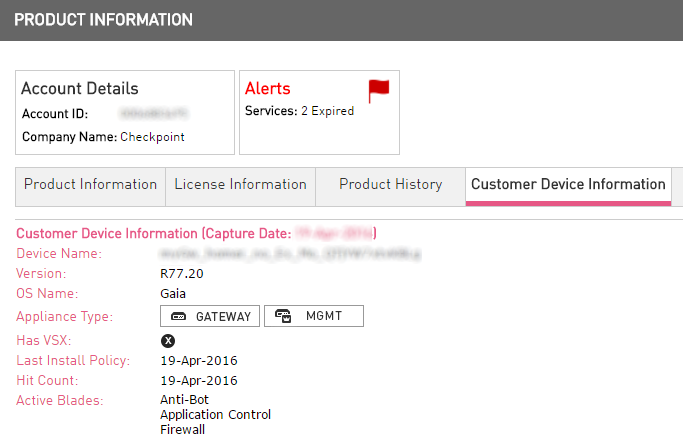 Device with licenses and installed policy / database. Upload / Download data to Check Point is allowed. For details, refer to sk111080. Internet connectivity to Check Point. Connectivity between Security Management Server and usercenter.checkpoint.com. For details, refer to sk83520. MDS / Domain : Configure Proxy in Gaia Portal. Single-Domain: Proxy can be configured in SmartConsole / Gaia Portal. Note: When proxy configured in SmartConsole, "Install Database" operation is required. In SmartConsole, on the Navigation Toolbar, click on the "MANAGE & SETTINGS" and click on the "Sync with UserCenter". When synchronization is enabled, an update will occur once a day. In SmartDashboard, go to the "Help" menu and click on the "Sync with UserCenter...". Clicking "Sync Now" button runs a relevant script on the Security Management Server. The script collects information from the Security Management database, as well as from the managed Security Gateways and writes it into the $FWDIR/conf/SMC_Files/SU/data_file.xml file. 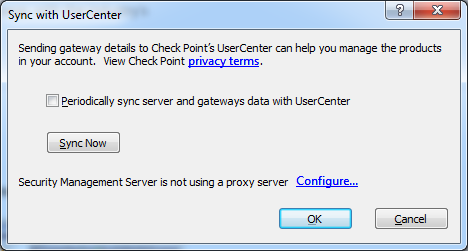 Checking the box "Periodically sync server and gateways data with UserCenter" will run the script once a week. 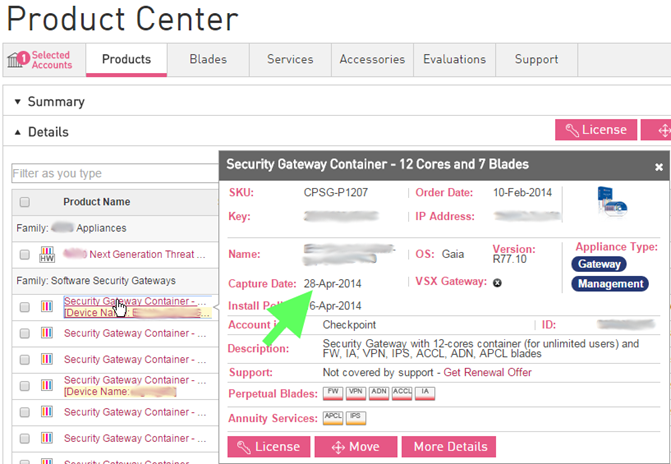 Once the information is sent to Check Point, User Center can present it in the list of "Software Products & Appliances". Note: In Multi-Domain Security Management Server environment, this feature is only available per Domain context. Currently, it does not work with Multi-Domain (MDS) context. sk102186 - Sync with User Center fails with "Internal Error: Failed to complete licensing information operation"
Multiple machines with same CK (Bundles SKUs, Vsec).